Starting with minimalist concepts – most of the time based on a linguistic or systematic logic – Line Nault develops projects that allow diverse domains (such as somatics, multi-media and digital) to reflect upon each other. This reflection-mirror itself becomes the territory of her creations. Line’s work is characterized by an ‘Interstice’ approach – working from the place of an opening, a gap. This is evident not only in the physiological components of her work, but also through her examination of artistic practices. Since 2003 her projects have made use of digital creative tools developed at Studio Artificiel. In that context she worked with team members on the projects Séquelles diffusion and Boules. In 2018, Line present her last piece SuperSuper at l’Agora de la danse in Montréal and at Mois Multi in Quebec City. As an associate artist at Recto Verso from 2011 to 2016 she produced the participative installation piece Là, as well as 2012 (an interactive installation) and the piece in four variations Attachée (a show, an installation performance, a book and a performative reading). Recent works include Super 8, La problématique de l’erreur, Kitmobile, L’espace des autres, Revenir en avant and Vivarium. 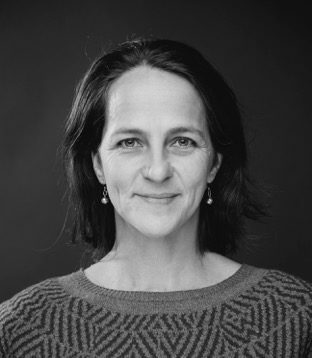 Line Nault has collaborated as both interpreter and choreographer with various creators and creative bodies in dance, theatre, multi-media, installations and variety shows. Some of these include Martin Bélanger, Louis Champagne, Olivier Choinière, Stéphane Crête, Eric Forget, Lynda Gaudreau, Brigitte Haentjens, Benoit Lachambre, Manon Oligny, Marie-Claude Poulin (kondition pluriel), and the companies Code D’accès, L’ange à deux têtes, Momentum, Québec Art Cité, Tournifolie et Trans-Théâtre. In 2007, she completed a post graduate degree in Somatic Education at UQAM; she now provides exploratory workshops based on her own creation tools (body and technology) and her knowledge of somatic education.